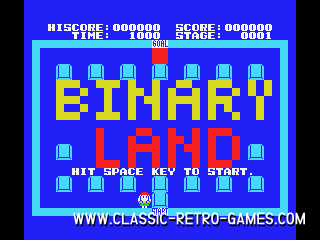 Hudson Soft released Binary Land for MSX at first, later on a NES conversion followed. 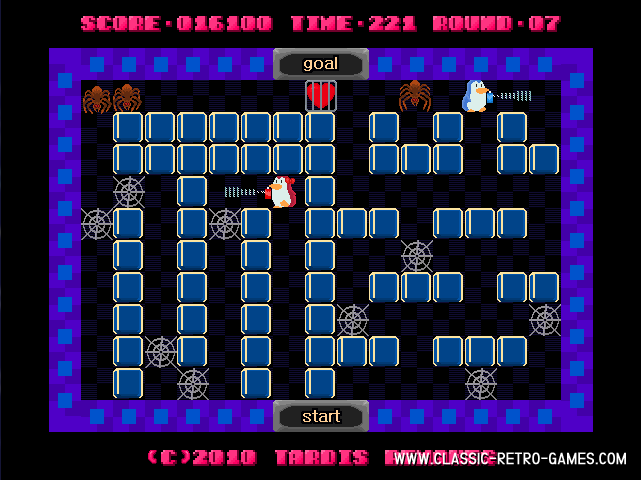 Ofcourse the NES version was a little better looking, but it's nothing compared to this Windows remake of Binary Land by Tardis! 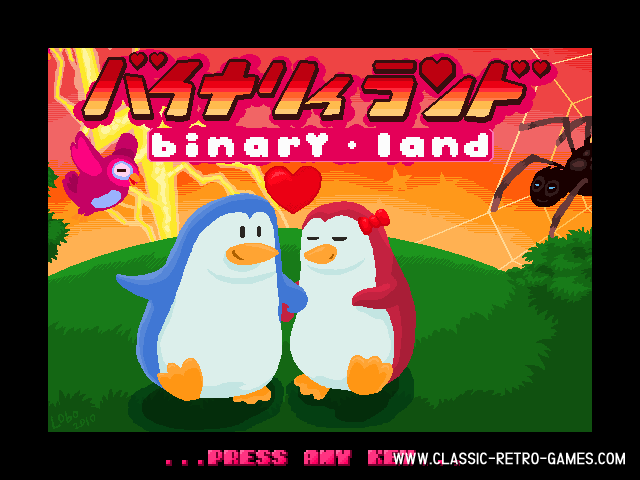 In Binary Land you must guide two penguins (the blue one is the male :)) through a maze. However it's not as easy as it sounds as the female (the pink one) moves exactly opposite of the male penguin. Try avoiding all kinds of critters and creeps in mirror mode. This free Windows remake takes the game concept to a higher level. It's not a pixel perfect exact copy, but that wasn't the goal. 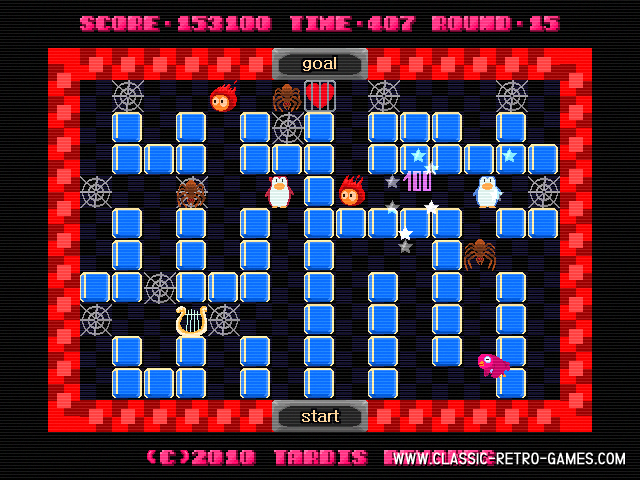 This remakes brings you the same game play as the original. Download and enjoy! Currently rated: 4.9 / 5 stars by 67 gamers.